I’ll bet you want to put on a coat just looking at this, don’t you? 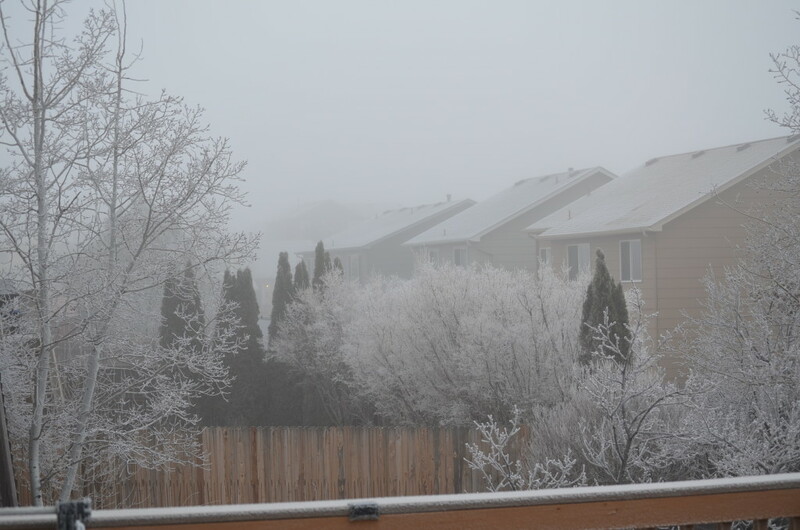 The picture above is what we awakened to this morning, with 19F temperature. This came on the heels of several pleasant days: the kids could walk to/from school and I enjoyed an outside run. A far departure from the Florida temperate conditions we had every Christmas. You won’t be seeing as many “Colorado Discoveries” posts this time of year, mainly because it’s been colder here. We aren’t spending as much time outside. In fact, we had a few very very cold days at the beginning of December…so cold, with ice on the roads, that the boys’ school was closed for a couple days. We learned that our fancy expensive Davis Instruments weather station doesn’t handle temperatures below 0F very well, but our less expensive AcuRite did fine. It got down to a low of -11F at the house on December 6th. 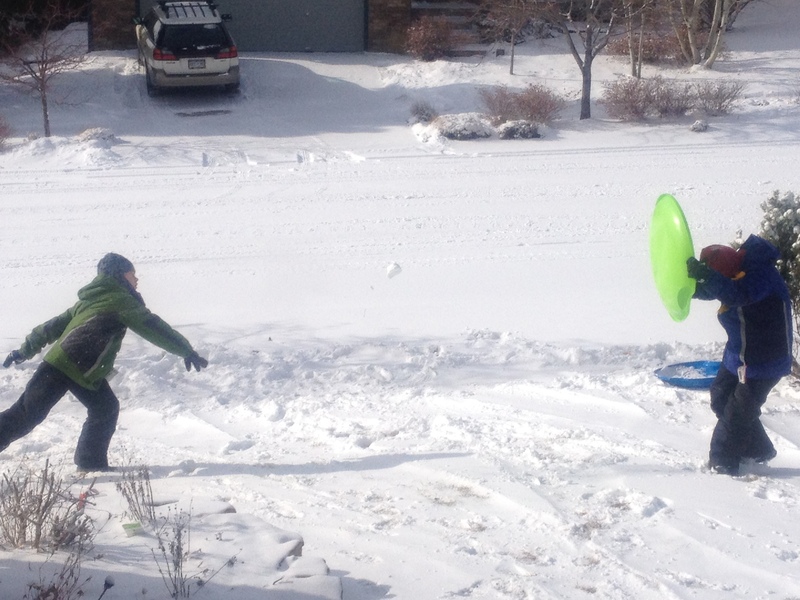 The kids attempted a grand total of about 15 minutes of play outside during their snow days. Ordinarily they love playing in the snow, too! I had suggested they sled down the front yard, which is slightly sloped. But it was too cold, so they had a snowball fight instead. As we’re hunkered down in the house with plenty of hot cocoa and blankets, we’ve been able to really keep up with our holiday preparations. The cards went out on time, and all of the gifts were ordered, purchased, received, wrapped, and re-mailed to our friends and relatives on time. We hope your families are enjoying a nice holiday season too. In other news, our basement suffered some flooding a mere 2 weeks after we passed the final inspection and we had moved downstairs! 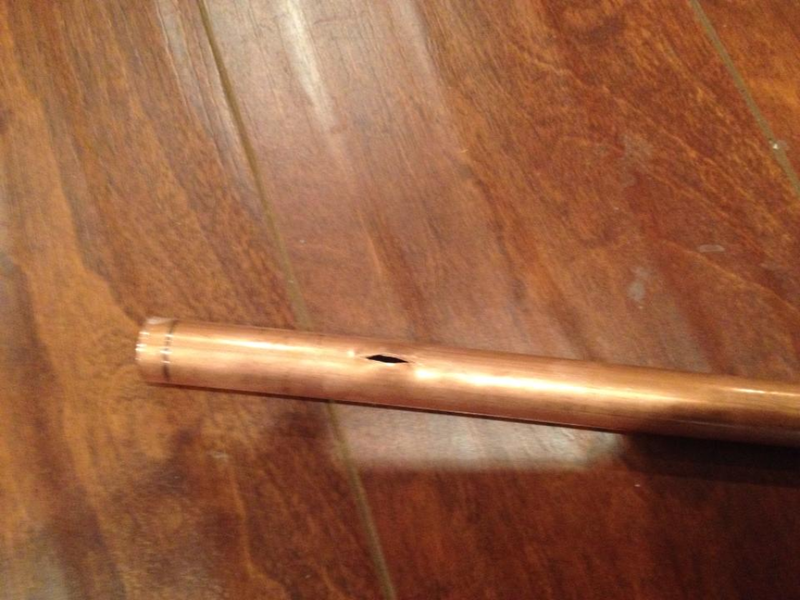 It was the Sunday after the bitter cold, and a slight thaw revealed a burst pipe. We were able to quickly turn off the water, get a couple of Shop Vacs going within about 10 minutes, and we had a plumber and ServPro over within a couple hours to start the cleanup process. That tiny hole, less than the diameter of a dime, cast some 700 gallons of water into our basement over 2-3 hours’ time. We had to re-accomplish the hallway flooring. We did some fancy Tetris-ing to do it without pulling up the glued-in baseboards. 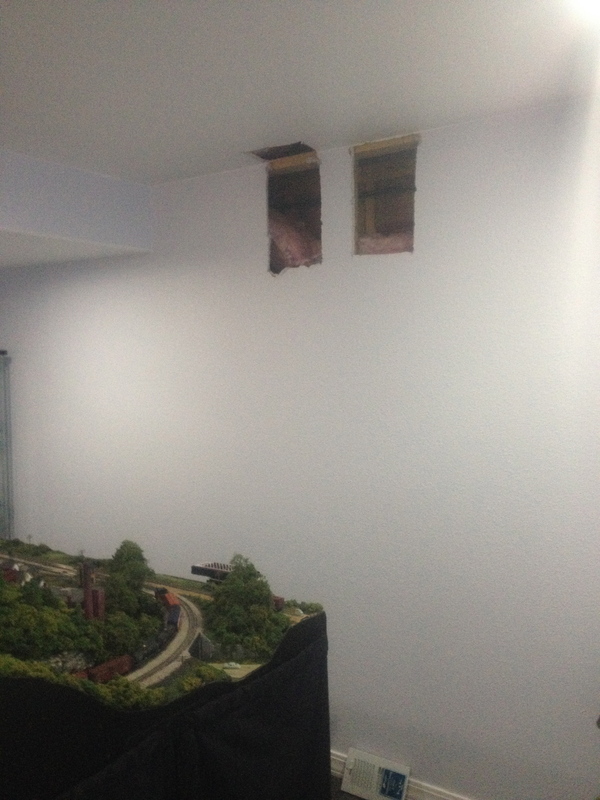 The bulk of the damage to the drywall was contained these two holes that the plumber cut to get to the broken pipe. 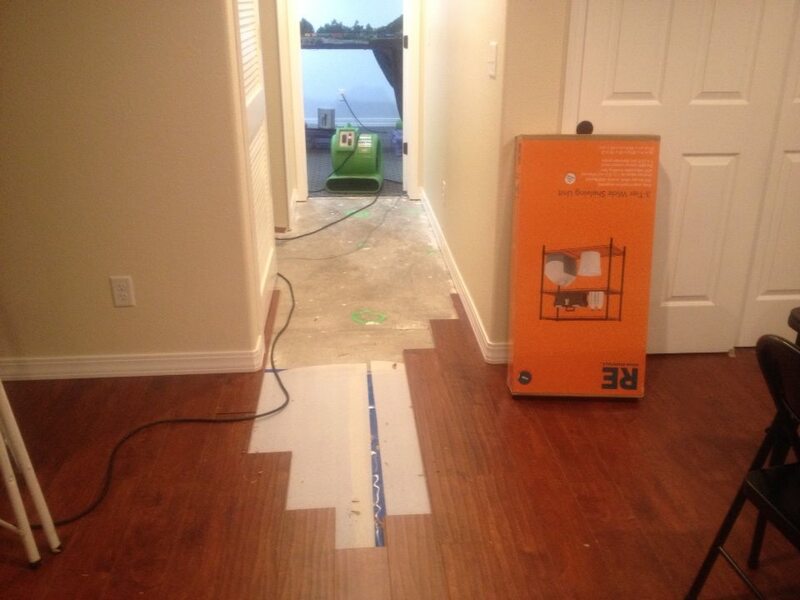 If you come home to a flooding basement, make sure to (1) turn off the water and (2) get out your Shop Vac. If you don’t have a Shop Vac: GET ONE!